She is the first person to hold the title at the social gaming company. 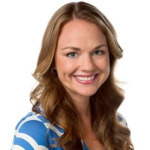 SAN FRANCISCO: Zynga has promoted Dani Dudeck to CCO, a new role at the social game developer. Reporting to CEO Don Mattrick, she will manage the company’s external and internal communication strategy, media relations, and crisis communications across corporate communications, product PR, global thought leadership, and culture. "This is a unique time for the company as we work to transition our business to a more mobile-focused future," Dudeck told PRWeek via email. "Our CEO Don Mattrick and our leadership team recognize the need for strong communications leadership inside the company and outside across our highest priority audiences, like our players and our shareholders." Externally, Dudeck will be focused on supporting products Zynga is readying for 2015. "The various worldwide launches throughout the year are exciting, high priority opportunities for us to share our story with consumers and as a team we look forward to bringing those moments to life through thoughtful PR initiatives," she added in the email. Dudeck will also spend time on Zynga’s internal communications programming, which she said aims to build a high-performing culture for the company’s employees. As part of this effort, Zynga is working with Seattle Seahawks sports psychologist Dr. Michael Gervais to train staffers to meaningfully evolve the company’s culture. "This culture work is meant to embody who we are, how we show up every day, the way we treat one another, and how the work we do together as one company can help us achieve our mission to connect the world through games," said Dudeck. No one is replacing Dudeck as Zynga’s VP of communications. Dudeck has led communications for Zynga since May 2010 as VP of comms. In that role, she has overseen key internal and external communications initiatives, including all new game launches and game franchise PR for FarmVille, Words With Friends, and Zynga Casino, according to a statement from the company. Dudeck also managed the communications strategy for Zynga’s December 2012 IPO and handled transitional communications when CEO Mark Pincus stepped down in 2013 and was replaced by Mattrick, formerly the head of Microsoft’s Xbox division. In addition, Dudeck led comms for NaturalMotion, a gaming company Zynga acquired last year for $527 million. 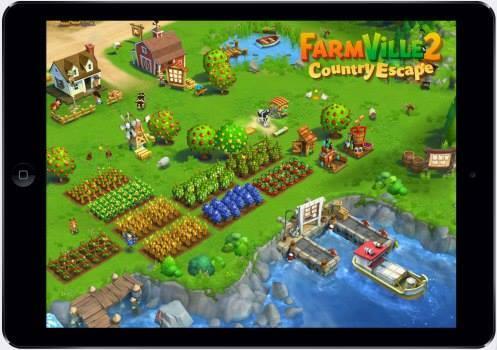 Zynga is planning to release its fourth quarter 2014 earnings on Thursday. The company’s stock price dropped by about 30% last year because of a decline in its user base and few major game launches, according to Forbes. Prior to Zynga, Dudeck was MySpace’s VP of global communications, managing the company’s global PR agencies and comms efforts across consumer, technology, product, and corporate issues management. She worked at MySpace from 2006 to 2010. Dudeck was a member of PRWeek’s 40 Under 40 list in 2012. This story was updated on February 10 with comments from Dani Dudeck.